Being a member requires commitment and dedication but is a truly worthwhile hobby. Arena Performances | In Concert | Parades & Carnivals | Whether it be a carnival or formal parade the Romford Drum & Trumpet Corps has experience in events such as the Lord Mayor’s Parade in London, European Band Festivals and Civic and Military Parades. WE ARE RECRUITING! HEAD OVER TO OUR JOIN THE BAND PAGE! The Romford Drum & Trumpet Corps (RDTC) is a youth military style marching band, based in the London Borough of Havering (Romford, Essex) . 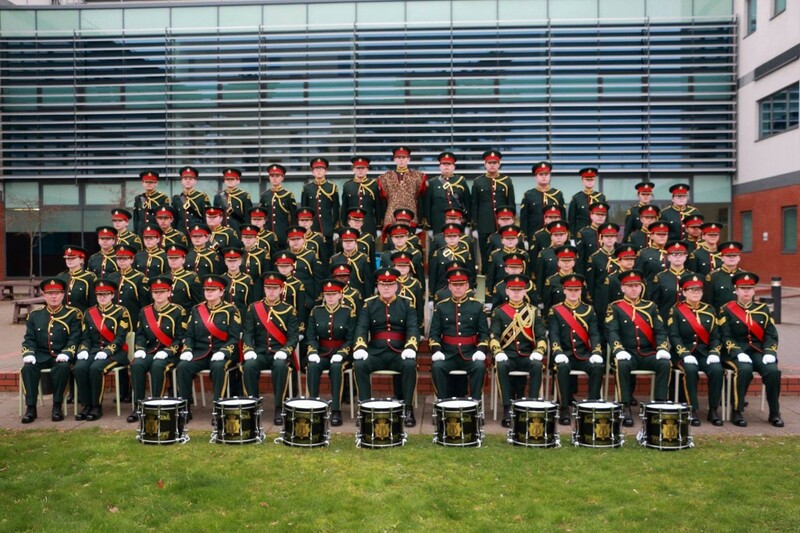 As one of the oldest independent youth marching bands in the country, it has a proud history with performances throughout the UK, including marching displays, parades, carnivals and concerts. The band’s music portfolio covers a wide breadth including military marches, film themes, popular music and brass classics, often featuring solos from some of the band’s talented musicians across our brass, woodwind and percussion sections. In recent years the band has travelled further and performed in France, Holland, Belgium, Germany, Ireland, Gibraltar and the USA. This year, the band is celebrating its 60th Anniversary! 28th June 2018 – 7th July 2018 – Delaware, USA – Our good friends of Smyrna, Delaware invited us back to take part in the 4th July Celebrations and Smyrna’s 250th Anniversary. 8th – 10th July 2017 – Iserlohn Schützenfest, Germany – The band headed off to the town of Iserlohn, Germany for the annual Schützenfest across Friday to Monday with a variety of parades, arena displays and concerts. 26th February 2017 – 60th Anniversary Concert – The band was established in 1957 and so 2017 marks our 60th year. Our anniversary concert featured some of our favourite pieces from previous years, as well as a selection of new material including some feature performances from ex-members. We’re on Facebook and Twitter! Romford Drum and Trumpet Corps shared a post. Romford Drum & Trumpet Corps – Marching Band is proudly powered by WordPress and BuddyPress. Just another WordPress Theme by Themekraft.